There is nothing so charming as living in a barn conversion. Here at John Moore, we are specialist barn conversion builders Yorkshire, and will bring decades of combined experience to each job. Dedicated to creating stunning, robust barn conversions every single time, the team at John Moore are dedicated to bringing your vision to life. – A full team of experienced bricklayers, plasterers and electricians. 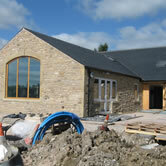 – A complete service including stonework and groundwork. 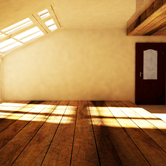 – Renovations and barn conversions renowned across North Yorkshire, Clitheroe and beyond. From the overall design of your barn conversion to the finishing touches on the stonework, our team is committed to ensuring quality from beginning to end. It’s all part of the deal when you employ barn conversion specialists armed with more than 30 years’ worth of skill and care. Here at John Moore, we pride ourselves on being able to offer our customers a varied range of specialist services, including groundwork and stonework. We also work in collaboration with architects and designers, providing you with not only inspiring interior and exterior designs, but a home for life. Employing barn conversion specialists in each particular field, we work with architects, stone experts and top designers to ensure your job is completed to your exact specifications. Take stonework: we will create a team combining the expertise of bricklayers, designers, architects and specialist masons to ensure every detail of your barn conversions stonework is perfect. As leading barn conversion builders in North Yorkshire, we provide outstanding customer care, so don’t hesitate to get in touch with any questions about your dream barn conversion. We will explain our services in full, discuss your needs and give you a detailed quote. After all, we want your space to be truly magical.